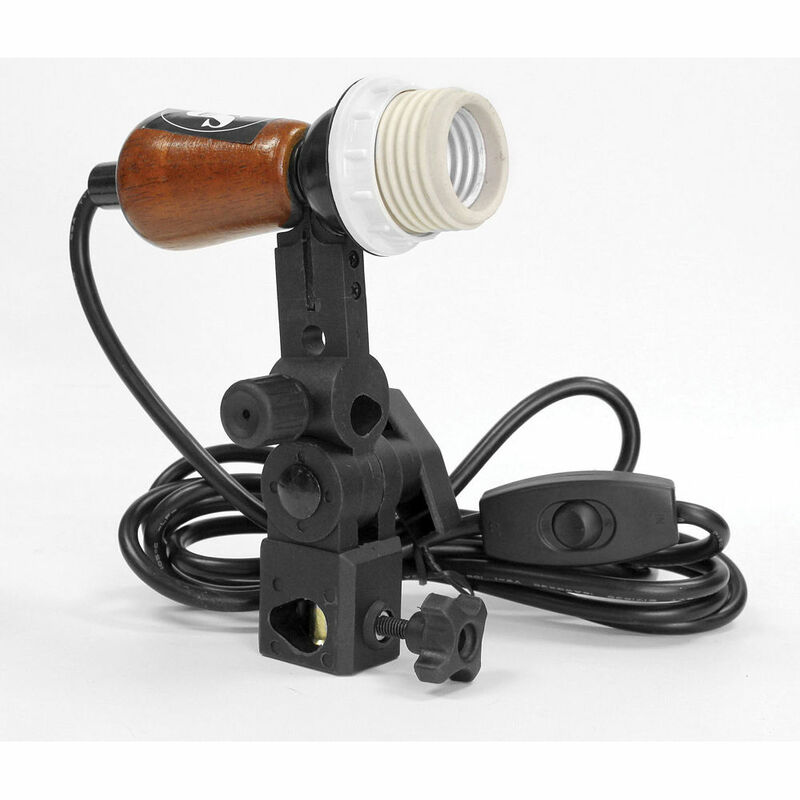 The SP Studio Systems SPCSBRACK Swivel Bracket with Ceramic Socket combines light holders with umbrellas or diffusion screens for use on a lightstand. The adjustable bracket comes with a spring-loaded lock-down handle that provides secure positioning with creative control. This swivel bracket can be mounted on stands or accessories with 1/4"-20 or 3/8” threads, or studs up to 5/8” in diameter. The bracket comes with a ceramic socket and an umbrella holder bracket that features all high-heat metal connections for better protection against heat. It also features an in-line switch. Box Dimensions (LxWxH) 7.0 x 5.8 x 3.9"